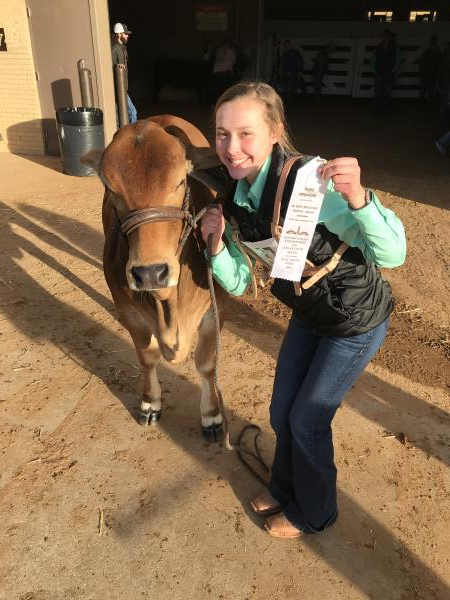 Raegan assisted with the Santa Gertrudis cow-calf pair by showing the calf in the ring. 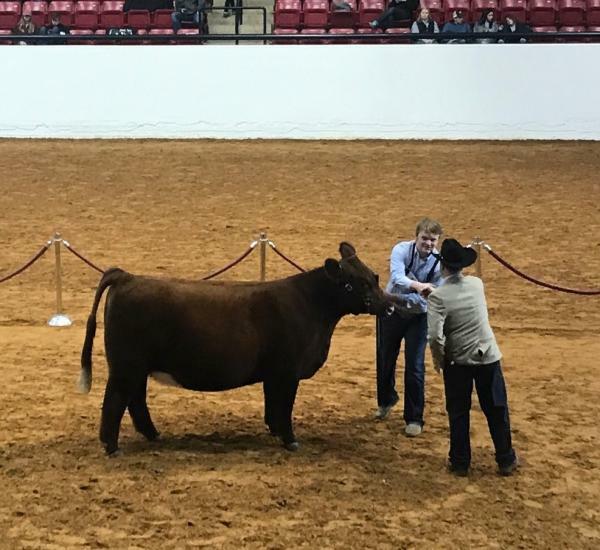 Jaxson and his heifer were selected overall Reserve Grand Champion Shorthorn heifer. 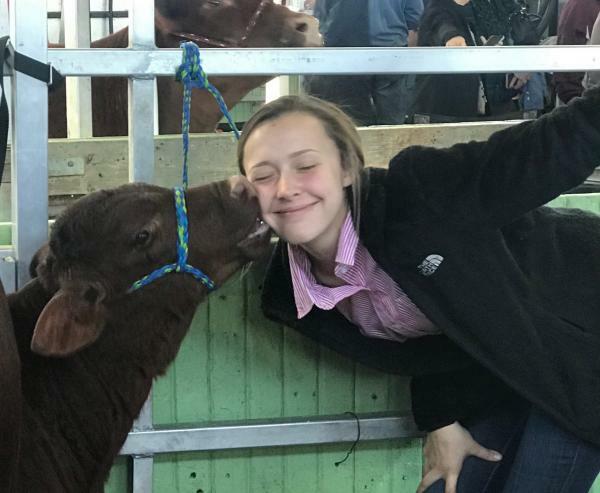 Madisyn finished 10th in a large class of over 25 head with her Santa Gertrudis heifer. Madisyn was also selected as the 2019 Texas Junior Santa Gertrudis Premier Princess. 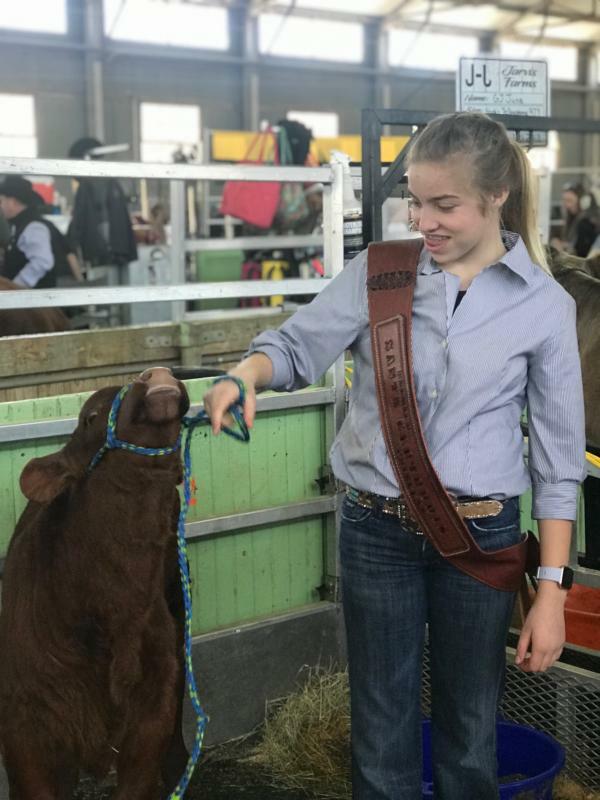 She will compete in the princess contest at the National Junior Santa Gertrudis show this summer. Madisyn filled in and showed a cow-calf pair for Kaden who is still recovering from an injury. The pair placed 3rd in the Santa Gertrudis class. Raegan showed her Red Brahman in a very competitive Red and Gray Brahman cattle class. Raegan finished 3rd and was the highest placing Red Brahman in the class. Kambrie Hogue showed her Southdown market lamb. 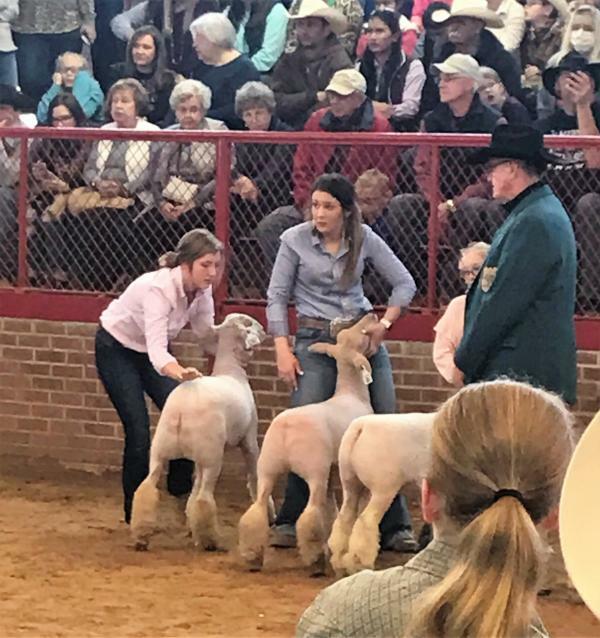 She was in a very competitive middle weight class, and she placed 9th out of over 40 lambs.